Teen White Supremacist Busted For Nazi Rally Assault - Joe.My.God. A teen white supremacist who has been obsessed with Nazis since junior high school has been charged in the vicious beating of a black man during the violent rally in Charlottesville, Va. Daniel Borden, 18, was arrested Friday in connection with the attack on 20-year-old Deandre Harris, authorities said Saturday. 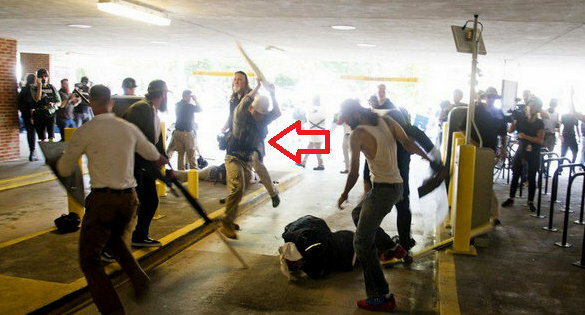 A cellphone video captured a group of white men savagely pounding on Harris with metal flag poles, umbrellas and plastic shields. The footage shows a bloodied Harris collapsing multiple times as he tries to scurry away from his racist attackers. The baby-faced Borden, who was charged with malicious wounding, has a history of hate. 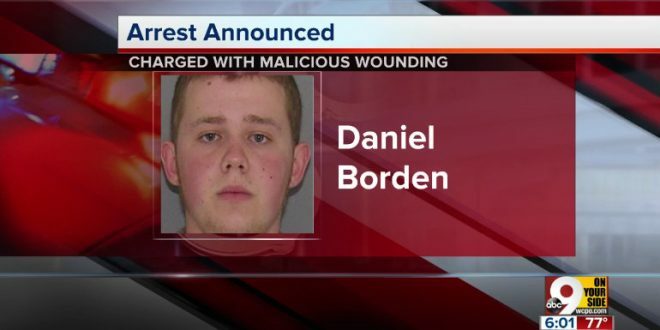 A classmate at his Ohio middle school told cops in 2012 that Borden once held a knife against his face, called him “Jew Boy” because he had a big nose, and often drew swastikas, according to WCPO-TV in Cincinnati. The classmate also reported to police that Borden had claimed to belong to a gang called Brothers of Confederacy.